The JUDGEment: UPDATE on Conflict on this weeks Top Gear - a proper apology? UPDATE on Conflict on this weeks Top Gear - a proper apology? 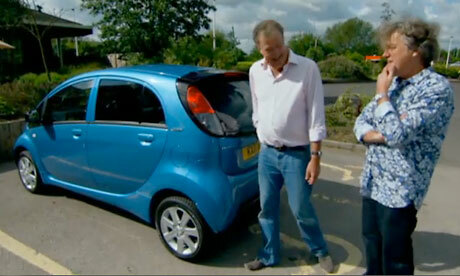 The JUDGEment was amongst many other outlets and frustrated disabled travelers who outpoured their disbelief in the fact that the BBC's Top Gear presenters Jeremy Clarkson and James May parked their electric cars in disabled parking bays whilst filming a segment for the popular Sunday night BBC2 programme. The Disabled Motorists Federation and Disabled Motoring UK were some of the biggest organisations to publicly judge Top Gear on their production choices. "By parking in a disabled bay it appeared Jeremy and James were condoning this antisocial behaviour and as some members put it – encouraging other selfish people to do the same" (Disabled Motoring UK). The Guardian and Daily Telegraph were quick to jump on the story and highlight this blatant encouragement in an action which prevents so many people from going on about their day. Unfortunately, I do have to suspect whether this story would have received such increased media coverage if it were not for us being in the 'silly season' where media outlets try and stay hydrated in a drought of news that is deemed publicly interesting. Nevertheless, the BBC were quick to respond, stating that they had permission from the owner of the car park and that it was purely a production team decision and not one made by the two presenters. Andy Wilman, Executive Producer of Top Gear said "This was our fault, not theirs, and we unreservedly apologise to all the viewer’s we have upset as a consequence". Question will be whether they apologise in next week's episode and try to educate their young and male demographics that parking in these spaces may save you a bit of time, but can create a lot of hassle for those who can't park in the standard width parking bays which are too narrow to extend doors enough to use wheelchairs and other mobility aids. Top Gear has always be known since its reincarnation to be a volatile and boundary testing programme but it now needs to decide on which boundaries are not to be crossed and I think the encouragement of using disabled parking bays, when you don't have a blue badge is one of them! I am unsurprised the Top Gear production team treated the disabled spaces like many thoughtless individuals, wait for a joke about it from Jeremy on Sunday... or is Top Gear prerecorded well in advance? Private parking outside shops, supermarkets and other large establishments is an absolute nightmare for the blue badge holder. I'm sick of going to Asda and Sainsburys in Wakefield, finding all the disabled spaces filled mostly by white vans, taxis and non-disabled parkers, and being told when I go to Customer Services to complain "They're not our car parks love, sorry we can't do anything" - at Asda, 2 of their own white vans were parked in the closest spaces to the store last week, Customer Services still wouldn't do anything about it. A decent fine against the company providing the spaces as well as the illegal parkers, or 6 points on the offender's licence, might act as a deterrent, especially if the public were allowed to send pictures in of cars parked in disabled spots illegally. In Wakefield, traffic wardens don't enforce disabled parking - the police do - but they have no time to patrol parking spaces, whereas that's all traffic wardens do. It's a stupid situation, that could easily be remedied - let the Traffic Wardens ticket illegal parking in the disabled spaces. All I know at the moment is that many people abuse disabled parking without any care or thought. I've been verbally abused and threatened when I've pointed out that they shouldn't be parked there... I'm sure many people avoid saying anything through fear of reprisal. Not sure what the chap who said it was tough to comment on your blog was reading Greg... it seems remarkably simple! I think Top Gear is filmed weekly and I think your right, we're likely to see a comical mention rather than a serious flagging up of the issue and their condoning of such behaviour. These private car park owners have put up signs saying parking in disabled spaces will not be tolerated but such warnings are not met with surveillance and deterrent policies. Potential penalties on the drivers and fine-enforced statutory duties on the car park owners is definitely an avenue to explore. That and programmes like Top gear to stop exhibiting such behaviour. I've altered my blog so anyone can post comments, not just those with the standard profiles. 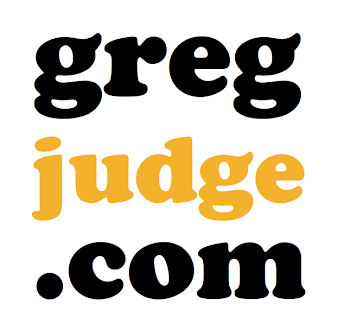 Greg Judge's Offical Website with updates on his latest political activties. 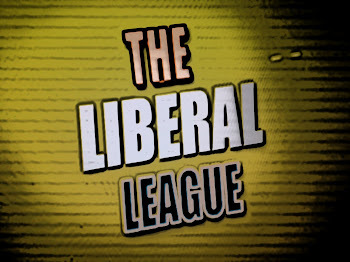 A social comic book that follows The Liberal League! A liberal politico interested in all things political as well as news and current affairs. A member of the Liberal Democrats Disability Association's Executive. Executive member for Coventry Liberal Democrats and an interest in other party groups and national charities. Thoughts expressed on here are Greg's own and do not necessarily reflect those of the Liberal Democrats. Face to Face - Nick Clegg is wrong on this one!